I wanted a pair of wireless earphones so that my daily commute wouldn’t have me worried about the cable to going to my phone and restrict the use of my phone. It should have wireless controls to reduce screen time and also wireless operations. The BlueBuds X from Jaybirds looked like a good fit. 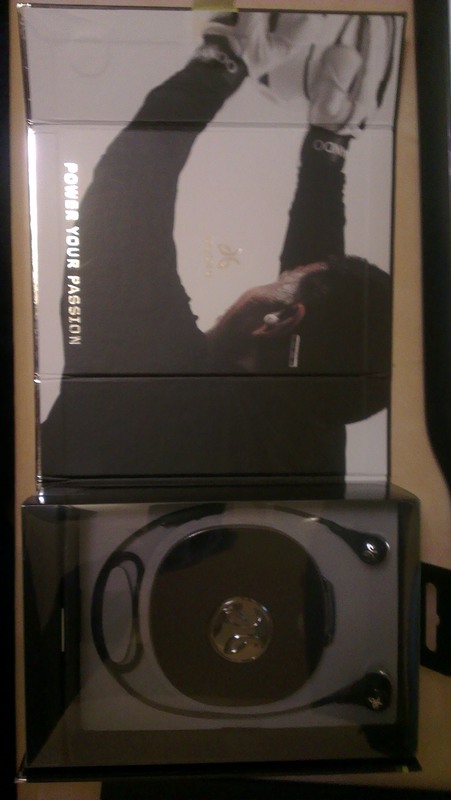 The earphones come very well packaged and I’d epect so for an iteam costing over £100. 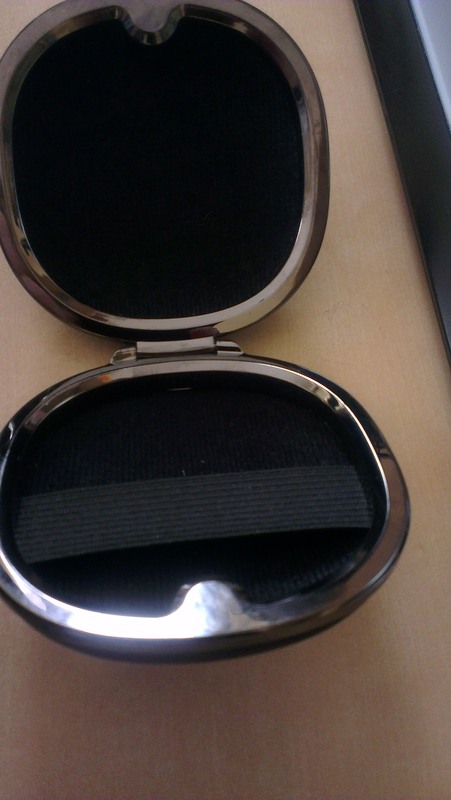 The earphones themselves are on around the outside whilst the hard case is in the middle. Inside the case are all the accessories for the earphones from the cushions to the inner ear rubber bits. Both come in 3 sizes which can be mixed an matched. I thought the case was a nice touch but personally reminded me of a purse. It’s held closed by magnets and inside was an elastic strap. The Earphones are angled and therefore have a specific direction to them. 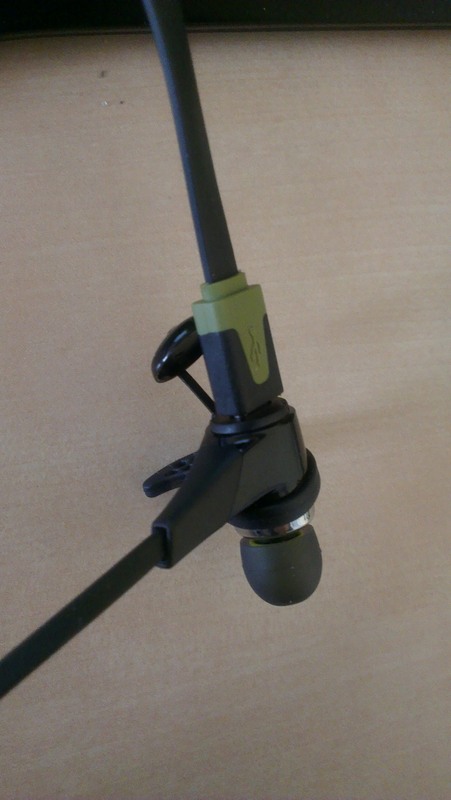 For example with the cable from the ear buds coming down the drivers are pointing at a downwards angle. 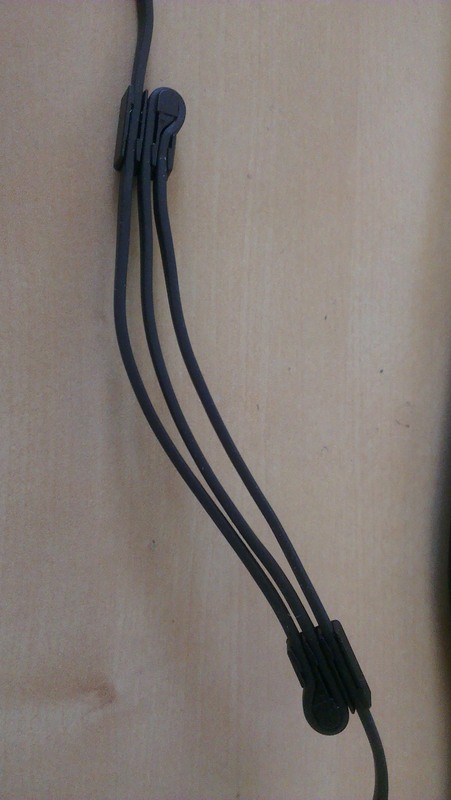 When using them over the ear so the cable goes up the left and right have to be swapped around. I doubt the earphones have any accelerometer in them so potentially the left and right channels are swapped around as well. This seems like a design flaw with no way of switching them around in the earphones themselves. The cables are flat style for less tangle but also so they can be used with the 2 clips used to wrap the cables to shorten them. Behind the earbud with the inline remote was where the micro USB port was for charging. Also the LED indicator was on the same earbud. With so many things on one side it’s surprising it doesn’t feel too unbalanced. The cap comes off by using a finger nail where a recess helps gain leverage space. This felt really cheap and is held in by plastic retention. The cap is held in by a tether making it harder to lose the it. The first few days I tried using them where the cable came down from the ear and around the neck. It was fairly easy to get the cushions in the right place using a mirror at first to see how far forward / backwards they were. Also it gave a view of how it sat in the fold of the ear. It felt the cushions were necessary because the earphones were fairly heavy (or heavier than I was use to). I tried the microphone in them at this point indoors and the person on the other end of call reported it was quiet but clear so that was good. Through my time using them in this position I shortened the length of the cable to the point where the cable was no longer dangling downwards but more like a diagonal towards the back of the head. I’m wasn’t 100% sure where the microphone was but I think this would affect the performance of the microphone. I didn’t get chance to test it before I moved on to the over ear setup. Using them over the ear needs time to adjust them or they will be uncomfortable or just fall out. I got one ear setup fairly quickly but the other took weeks of constant adjustments. It just shows my two ears are not the same. Using them over the ear feels a lot more comfortable because the cable is supported by the ears. Also the cable doesn’t get caught in the neck. Using them over the ear does mean the controls are on the left side just behind the left ear. This means to other people I’m touching the side of my head a lot to do simple things like play/pause, volume up and down or changing tracks. It’s not ideal. After over a month of use I found the battery on the Jaybirds to be close to the acclaimed 8 hours. I typically saw 6-7 hours before they ran out of battery. “Jenna” announces low battery 15 minutes before it runs out which I found to be too late especially with no other indication of the level of charge the earphones had left. There have been many times they ran out on my way to / from work and which makes the travel seem even longer. Now with more experience I try and anticipate and plan the charges similar to charging a phone. Luckily both my HTC One X and the Bluebuds X use the same connector to charge. Generally the streaming performance is fairly good but everyday I get at least one interference where the sound stops and starts. Sometimes it’s worse where it constantly starts and stops. I have yet to work out the cause of the problem but my theory is either interference or when the phone switches cores in ARM’s BIG.little architecture. 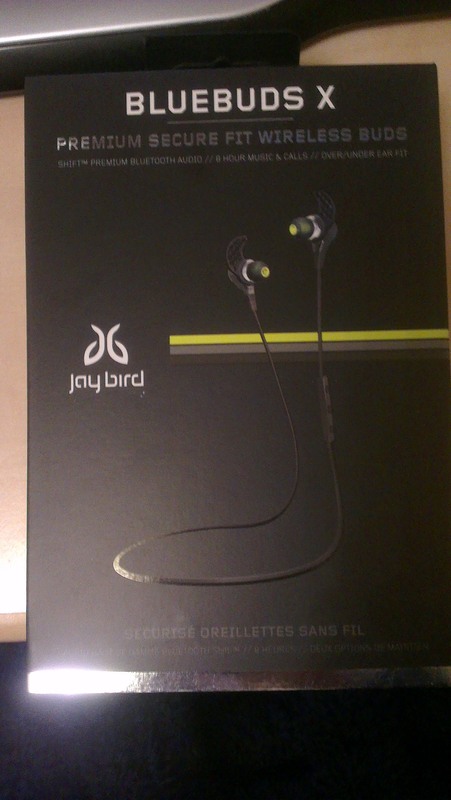 I used the Jaybirds Bluebud X on a HTC One X running Android 4.2.2. It pairs with no problems and also auto repairs from turning on the earphones. All the controls work as designed. The only feature which I believe the iPhone has over Android is displaying the battery information on the phone. These are very good set of bluetooth earphones which do not look out of place nor do they have the typical flashing blue light to attract attention. They are somewhat heavier than what I am use to but I am disappointed by the microphone which is not useable when used in the over ear configuration. I’ve been using them for about a year now and they have been working great. When people realise they are wireless it always sparks up a conversation. One thing I did not factor in are the accessories. The ear tips (rubber bits which go in the ear) can be changed but they come off too easily because it’s ribbed or barbed at all. I think this is a design flaw. What makes it worse is no where at the time (May 2014) sells OEM replacements. I dug further and found the ear tips and the ear cushions are not sold anywhere in the UK or even EU for that matter. There are non OEM ones but I liked the ones it came with and also the diameter of the speaker driver opening was slightly wider and longer than my Sennheiser CX300. At a push I could but them on but they won’t last in that position. 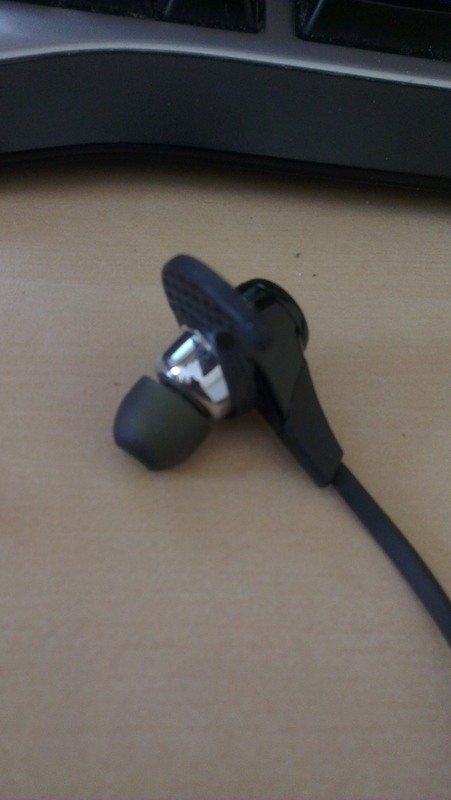 I had lost an ear tip and the only way to get a replacement one was to order from JayBird’s store for $9.99 USD! You get all 3 sized ear tips again which I only use the medium ones so the rest are useless. Next the international shipping cost was over $34!! That’s almost a quarter of the price I paid for the earphones themselves! I looked around the market for alternative bluetooth earphones but it seems the BlueBud X still seem to be one of the best so I paid for the replacements. I have glued the ear tips onto the earphone so hopefully it won’t happen again. In the future, I should consider the accessories not just the product themselves! I.T software professional always studying and applying the knowledge gained and one way of doing this is to blog. Danny also has participates in a part time project called Energy@Home [http://code.google.com/p/energyathome/] for monitoring energy usage on a premise. Dedicated to I.T since studying pure Information Technology since the age of 16, Danny Tsang working in the field that he has aimed for since leaving school. View all posts by Danny →	This entry was posted in Music, Review and tagged Android, BlueBuds X, bluetooth, Earphone, HTC, iOS, iphone, Jaybird, Sennheiser, USB. Bookmark the permalink.